G Evans Electrical provides domestic and commercial services as an electrician in Wirral and across Merseyside and the North West. We are NAPIT approved and are accredited to NICEIC standards. We offer an excellent service for all your electrical needs, whether it be a full rewire or a simple switch replacement. Our electrician service is second to none, from the first point of call with the office to our highly experienced operatives completing the job requested on site. We pride ourselves on our quality, honesty, good time keeping and fair pricing. All of our electrical work is fully certified and certification is always issued promptly to the customer on completion of work. 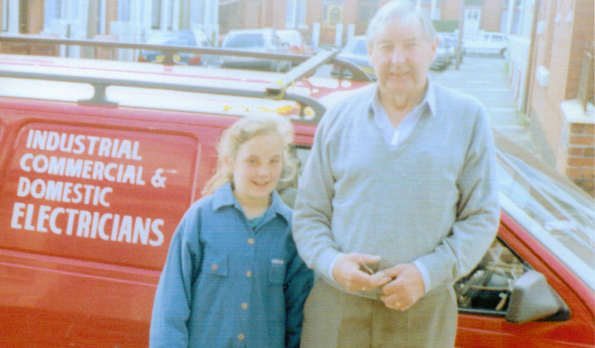 G Evans Electrical has been established since 1983 and has grown into a highly trusted electrician company in Wirral. It was started by her grandfather and is now run by Lisa Evans. If you're looking for an electrician in Wirral, we can come to you. Our service is available to the public as well as to landlords. For the best female electrician Wirral has to offer, call us now on 07875410020 for a FREE quote.